James Corden has done it again! The British funnyman hires in pop superstar Demi Lovato for a round of 'Singing Telegrams'. James Corden is quickly making a name for himself as one of Britain's biggest and funniest exports. Every time one of his 'carpool karaoke' videos is posted on 'The Late Show's' YouTube account, it rapidly hits 1 million views within 24 hours. WATCH: James Corden & Justin Bieber dance together in an episode of carpool karaoke. 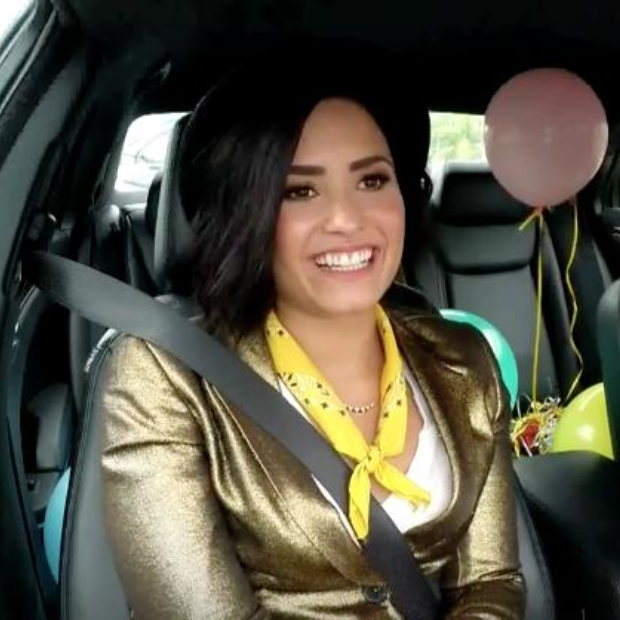 This time we see the funny-man drive around town with none other than Demi Lovato delivering a hilarious telegrams to the people of L.A.